By Michelle Tryon Wardle, 2005, 128 pages, illus. 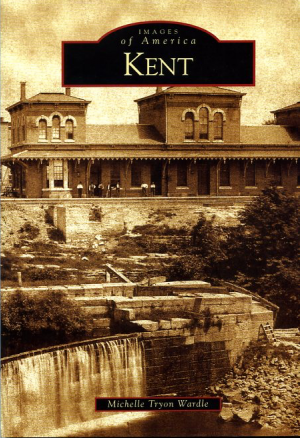 index Arcadia Publishing ISBN 0-7385-3381-5 Using archival photos and captions, the history of Kent is traced from its earliest 19th century images through the end of the 20th century including major events and personalities. A great companion book for Grismer's, History of Kent.